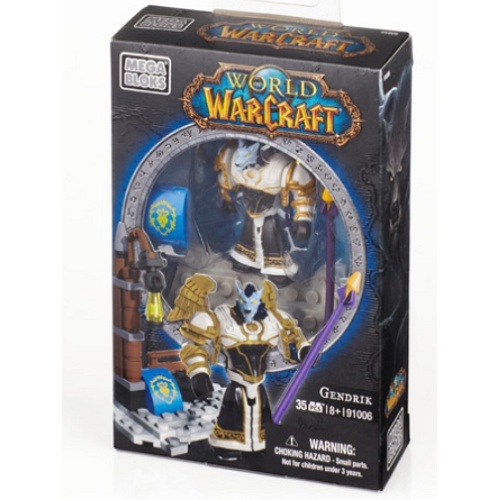 Product Detail Summary: From Mega Bloks World of Warcraft, build and customize Gendrik, the devout Worgen priest, with interchangeable gear featuring Mantle of the Avatar shoulders, Robes of the Incarnate and Nimboya's Mystical Staff. Includes an Alliance buildable terrain inspired by the Worgen inhabited Gilneas City. Buildable Worgen priest micro action figure with customizable armor. Collectable chest plate, Tier 5 Mantle of the Avatar shoulders, Tier 4 Robes of the Incarnate and Nimboya's Mystical Staff to mix and match.